Let’s face it, drinking the daily recommended amount of water can be tough. 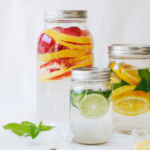 Fortunately, I have three tried and true infused water recipes that refresh and hydrate. Mason jars or a fruit infused water bottle. I recommend this glass one. It doesn’t leak, contains zero harmful plastic chemicals, and maintains the best flavor of herbs and fruits. Did you know that many people don’t drink nearly enough water every day? The general guideline is 64 oz a day, however this is completely dependent on your muscle mass, weight, height, activity level, etc. The rule of thumb I personally follow is to check the urine color. If it’s a light lemonade color, you’re good to go. If it’s completely clear, you’re drinking too much. And if it’s dark, DRINK UP! 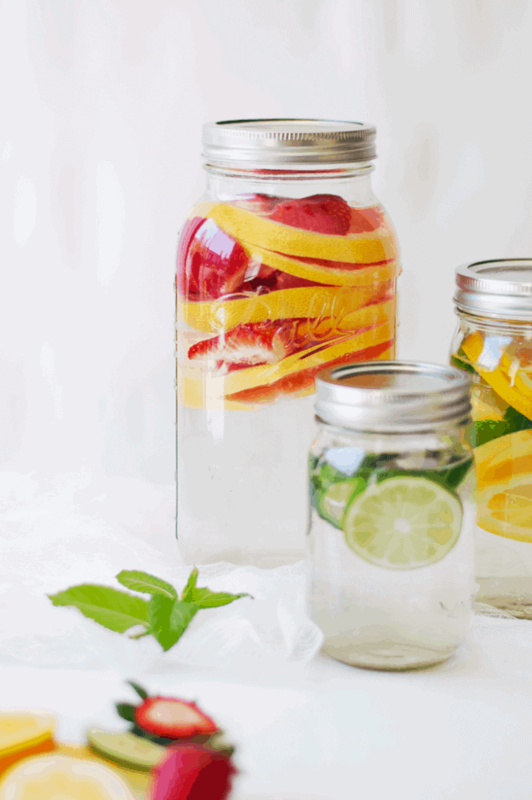 And use these infused water recipes, of course! Mood disorders and imbalances and more! I have been drinking a combination of three different citrus infused water recipes. This has helped me to get clear skin (bye, hormonal acne), and also supports cleansing my body. I swear by this water for getting rid of that bulky, bloated feeling. Also, I just read in the book, How Not to Die that eating citrus may help improve circulation. 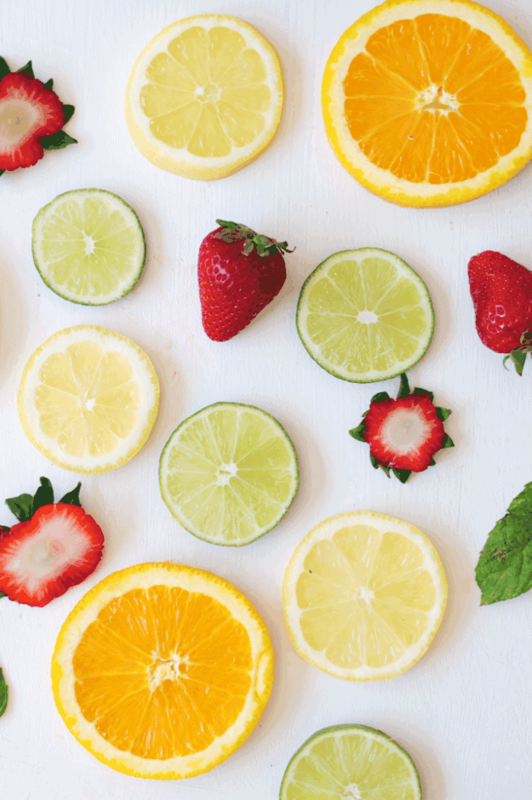 They did a study in women with blood circulation issues, and the ones who ate fresh citrus had a significant increase in body temperature regulation. As someone who has suffered from hypothyroidism, that is a big symptom that is bothersome. Citrus water helps me! Click here to get your free wellness toolkit, which includes a step-by-step printable and guide to healthy and simply daily habits! Cucumber helps with water retention since they have anti-inflammatory properties. Lime supports digestion and is great for amping up your immune system (and so are these easy to make herbal remedies). Grapefruit is great for your immune system and can help boost your metabolism, which is why so many people call it the “fat-burning” super food. Strawberries contain anthocyanins, which can also prevent fat cells from enlarging and are also a great metabolism booster. Umm, yes please, and thank you very much! Looking for more guidance and holistic nutrition and herbal remedies? 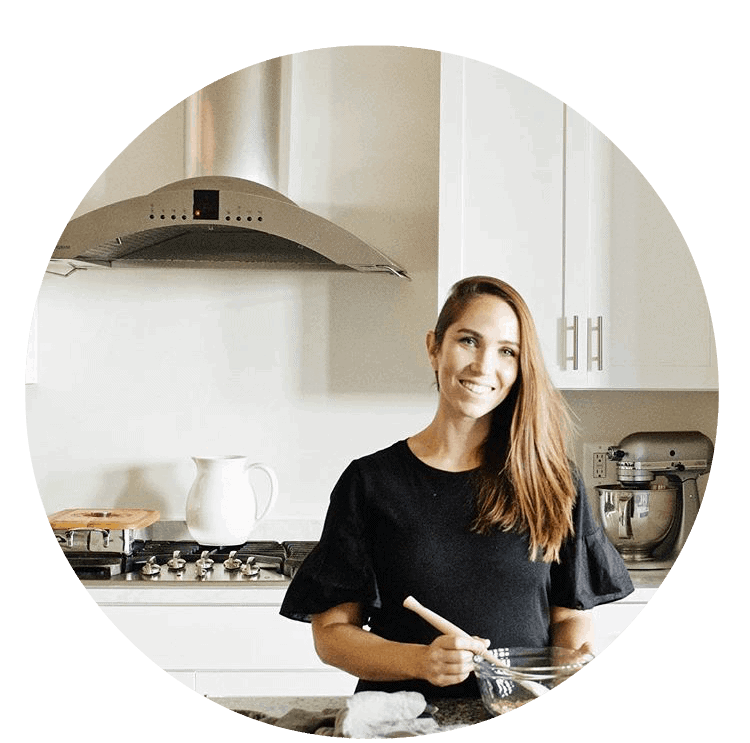 As a holistic nutritionist and herbalist, I offer 30-minute herbal wellness consultations with custom daily protocols formulated specifically for your health needs and goals. Click here to make your appointment. I’m excited to support you in living your healthiest and happiest life! Create less waste. Infused water is a great way to use fruit or easy to infuse vegetables that are beginning to reach their expiration date. Slice fruits and herbs to release their juices. This is especially important with herbs. A simple rub and breaking of the skin is essential in releasing their medicinal properties. Make it in bulk and store in a large fruit infused water pitcher, in addition to a daily water bottle. That way the whole family can enjoy. 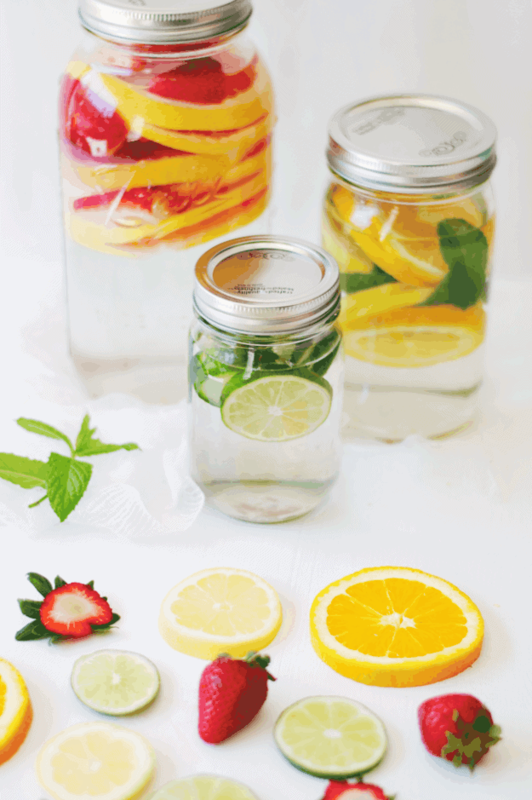 Ready to get the recipe for my three best infused water recipes? Grab the details below, and enjoy! The best thirst quencher on the cheap. Slice half a lime and about eight slices of cucumber. Place in an 8 oz glass jar or 16 oz water bottle and refrigerate for at least one hour. Slice one half of a grapefruit and five strawberries, and place in a 32 ounce glass container or bottle. Refrigerate for at least one hour. Slice half a lemon, 2-3 slices of orange, a handful of mint leaves and place in a 16 oz glass bottle or jar. Refrigerate for at least one hour. Water can infuse for up to 1 week. The longer it infuses, the stronger the taste.